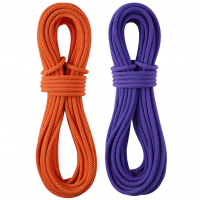 Lightweight, dry treated, and made for use as both a half and twin rope, the Sterling Fusion Photon Dry Climbing Rope is great for long rock climbs, ice climbing, and mountaineering.. . . . . Sterling's first half rope that is also certified as a twin. Designed to have the perfect diameter-to-weight balance. 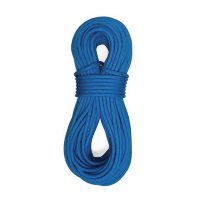 7.8 mm diameter is small and light, making rope drag less of concern on long pitches. 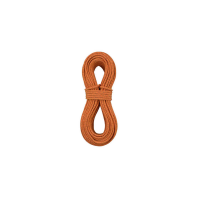 Core and sheath dry treatment extends the life of the rope by protecting against water and dirt.